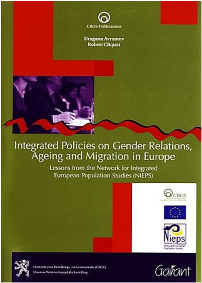 This book addresses major societal trends associated with changes in gender relations, family-building and patterns of work, ageing, and integration of migrants, which mark Europe at the turn of the 21st century. It builds on the networking of 11 European Population institutes from Austria, Belgium, Czech Republic, Estonia, Finland, Germany, Hungary, Italy, Latvia, the Netherlands, and Poland. The Network for integrated European Population Studies (NIEPS) took stock of research carried out at the national level and literature produced in a variety of European languages in view to provide the knowledge-base for integrated population-related policies at the European level. The European Commission funded this network under the 5th Framework Programme ‘Improving the Socio-economic Knowledge Base’. This monograph capitalizes on the stock-taking of NIEPS and personal research of the authors.